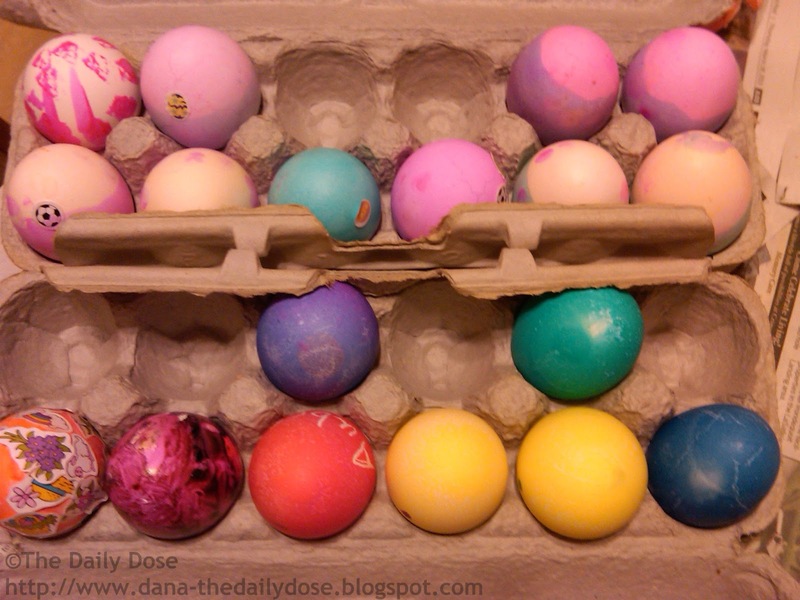 The Daily Dose: Happy Easter! I wish you a peanut butter egg and jellybean kind of day! Happy Easter! Thanks. ☺ Happy Easter, Joey! Have a wonderful day, Ermie! Have a great day, Jamie! Happy Easter Dana :) Have a lovely day! Do you guys eat Hot Cross Buns there? Thanks, Bill. I hope you're having a wonderful Easter! too cute. hope you had a great day! Thanks, Rita. It was a lovely day. ☺ Happy Easter! I hope you enjoyed your Easter. Wishing you a successful April A-Z challenge! Thanks, Duncan. Wishing you much success as well! Happy Easter one day late, Dana! pretty! i bet you guys had fun! cuteness! Thanks, Tara. We had a great day. I hope you did, too! Hope you had a nice Easter Dana!! What a lovely Easter card! Even a day late (my usual mode) it is just beautiful. Thanks. My kids colored those eggs. I think they did a great job!